GISBORNE just managed to hold off a charging Tigers’ side to win a Good Friday Bendigo Football League thriller at the Kyneton Showgrounds by 10 points. 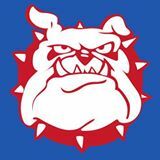 In front of a massive crowd and unable to buy a goal in the first three quarters, Kyneton added 5.5 in a gripping last quarter while holding the Bulldogs goalless. Nonetheless, with 10 fewer scoring shots the Dogs sneaked over the line: 13.8 (86) to 9.22 (76). The damage had been done in the opening three terms. The young Dogs, with six under-18 players in the side, scooted out to a 43-point advantage by the last break. While ex-North Melbourne and Hawthorn spearhead Nathan Thompson – he finished with 4.6 and two misses – Luke Edmonston and Ben Weightman had plenty of shots early on for the Tigers, accuracy wasn’t their strong point. At the other end of the Showgrounds Shaun Comerford and Callan Haynes both nailed three majors for the day with barely a miss between them. Gisborne raced to a 37-point lead by half-time with ground level players Hamish Govan, Shannon Greetham and Isaac Trickey feeding off the tap-outs and handballs from dominant ruckman Tom Waters. But Waters didn’t have things all his own way. Kyneton follower Joel Stevenson was very competitive and showed a surprising turn of pace and ball smarts for a big man. Two majors for a half of football didn’t really indicate how Kyneton was travelling. Ryan Carafa mopped up constantly in the back half and across the centreline while Dale Ciunik, back in the Tiger strip, was another handy midfielder. By the time Ben Weightman nailed Kyneton’s first goal at the 17-minute mark of the opening term, Gisborne had two on the board and Jarrad Lynch snared another following a ball-up free kick. The same pattern followed in the second term. The Dogs added three more majors with captain Ben Sonogan, Haynes and Comerford all kicking truly. Sonogan’s smothering and tackling was outstanding. Thompson finally found the range and slotted Kyneton’s second of the day at the 10-minute mark. Gisborne extended their advantage in the third quarter adding 4.1 to 2.7. But it was the last quarter which had everyone in the packed grandstand on the edges of their seats. The Tigers banged home five majors, finishing full of running, and showing terrific tenacity and drive. Thompson, Kane Ransted and Edmonston were on target as the Tigers put the Dogs under the pump for the entire quarter. The Dogs were still defending desperately with Hamish Govan and full-back Tim Walsh in overdrive as the final siren sounded. Gisborne coach Rod Sharp said what his players had done in two-and-a-half quarters was enough to ensure the club got the win. Kyneton coach Mark Adamson said he couldn’t remember the last time he’d been associated with a side which had garnered 10 more scoring shots, but still lost. “Our first half was disappointing in a whole range of areas. Our pressure was down, we weren’t moving the ball the way we wanted to and we weren’t able to take the opportunities to put more goals on the board. Kyneton showgrounds. Photo by Les Everett. Goals – Gisborne: Shaun Comerford 3, Callan Haynes 3, Tom Waters, Ben Sonogan, Jarrad Lynch, Shannon Greetham, Hayden Doricic, Michael Thornton, Trent Crosbie. Kyneton: Nathan Thompson 4, Luke Edmondston 2, Ben Weightman, Kane Ransted, Ryan Carafa. Best – Gisborne: Hamish Govan (best on ground), Isaac Trickey, Shannon Greetham, Anthony Belcher, Ollie Messaoudi, Tom Waters. 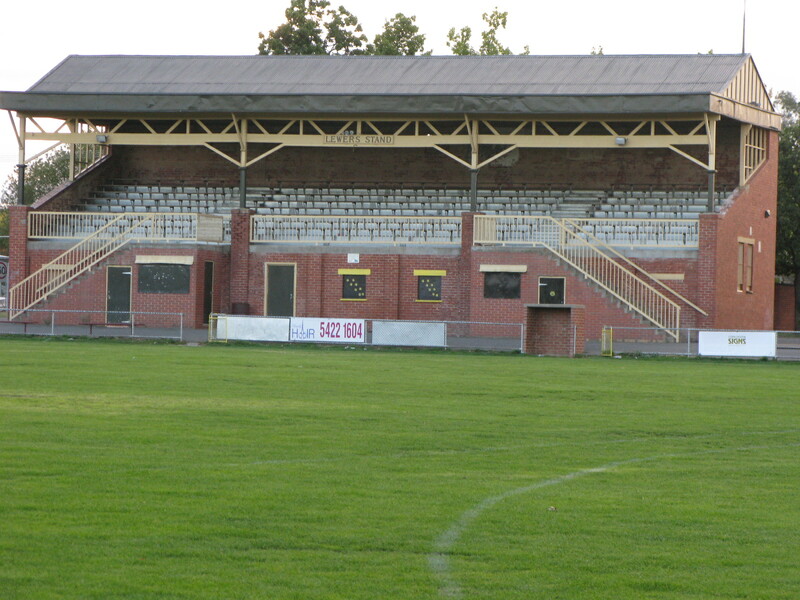 Kyneton: Ryan Carafa, Dale Ciunik, Nathan Thompson, Joshua Houlden, Ben Weightman, Kane Ransted. Votes – 5: Hamish Govan (Gis). 4: Ryan Carafa (Kyn). 3: Isaac Trickey (Gis). 2: Dale Ciunik (Kyn). 1: Shannon Greetham (Gis). IN the Good Friday evening match, Golden Square youngster Sam Harper calmly slotted a goal from 45 metres out with just 50 seconds left on Kangaroo Flat’s Dower Park clock. Scores were level when first gamer Harper nailed the winning six-pointer. 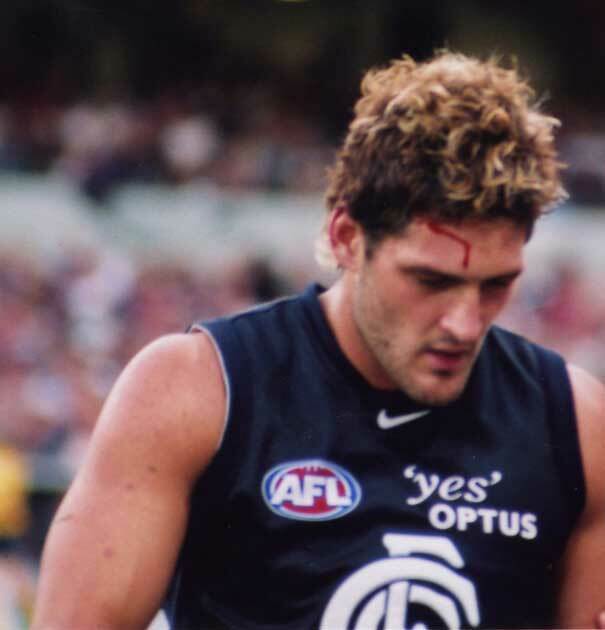 Former Carlton and Brisbane key forward Brendan Fevola booted 4.2 for the night. Just one of his four goals for the Roos was nailed in the last half. Final scores: Golden Square 13.12 (90) def. Kangaroo Flat 13.6 (84). The Square Bulldogs’ 13-year winning streak over the Flat remains intact. The Roos have not beaten Square since late in season 2001. And five-time defending premiers Square still have former AFL players Rick Ladson (Hawthorn) and Corey Jones (North Melbourne) to fit back into the side when they’ve recovered from injuries. Jones is about a fortnight away from resuming from a cheekbone fracture. 2014 skipper Simon Rosa left the field midway through Friday night’s second term with a wrist injury and didn’t return.